Google's annual developer conference I/O kicks off on Wednesday, May 15 at 9 a.m. PT sharp and it's one of the biggest technology events of the year. Google I/O has been the conference during which the company has announced the majority of Android updates, new hardware and even Google Glass. The event is certainly not to be missed. We'll be reporting live from I/O, but a few recent leaks and comments made by the head Android provide us with a slight picture of what we can expect later this week. We originally thought that Google I/O would focus on Android 5.0 Key Lime Pie. That doesn't seem to be the case this time, however, since we've recently spotted web traffic coming from new Android 4.3 devices. Also, Android boss Sundar Pichai recently said that this year's developer conference will focus on exactly that: developers, and that we shouldn't expect major products or a complete revamp of the operating system this year. We'll probably see some new features, some of which are discussed below, and hopefully the lack of a brand new refresh helps quell Android's fragmentation problems. This is a good thing, and hopefully the minor update means that we'll see it on more devices sooner. As we discussed above, Google's Sundar Pichai said that we shouldn't expect new products on Wednesday. 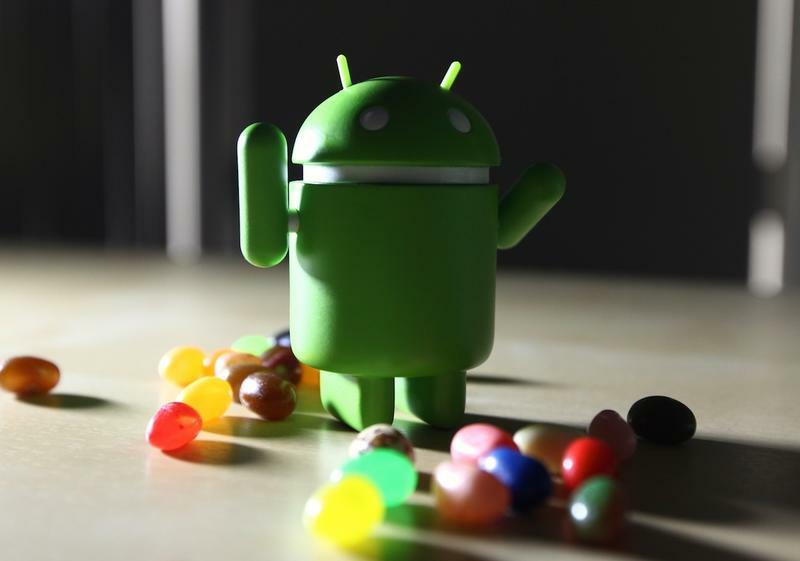 However, he also said that "any hardware projects we do will be to push the ecosystem forward," which suggests we could see minimal refreshes to existing products in order to offer greater support for Android 4.3 Jelly Bean. Recent leaks point to a new version of the Nexus 4 with support for LTE and 32GB of storage. That's not necessarily a new hardware product but, as Pichai suggests, will help move the platform forward. It's rare to see a new smartphone without LTE these days and it makes perfect sense for Google to add that feature, especially as T-Mobile joins the other carriers with its 4G LTE roll-out. Other rumors have also suggested that we'll see an updated Nexus 7 with a faster Qualcomm APQ 8064 processor in place of the current NVIDIA Tegra 3 chip. What was once called Google Babel may surface as a new update to Google Hangouts on Wednesday. The new application appears to be an answer to iMessage and BBM that works across Android, Chrome OS, iOS, Google+ and GMail. Google+ already provides this with Google Messenger, but we're expecting a more stream-lined user interface that works more like group text messaging instead of Google Talk. We saw a few screenshots over the weekend of what the new Google Hangouts might look like, and as a result we're now expecting emoticons, integration with Google+, improved group chat and more. iOS and Windows Phone currently provide independent achievements and friend-lists that allow you to compete with friends. Android has several similar solutions, especially if you play a game with its own built-in ranking system, but it doesn't yet offer its own gaming portal. That might change after Google I/O, where the company is expected to announce its Google Play Games service. According to a recent leak, Google Play Games will allow you to match up with friends, save games to the cloud, earn achievements, rank up on leader boards share your status with your Google+ circles and hopefully even chat. We're super excited, especially if this allows us to save a game state in the cloud and then pick up where we left off on a new device. This is a press conference for one of the world's largest tech companies. We expect surprises. Remember last year when Sergey Brin's team decided to sky dive out of a blimp to eventually deliver Google Glass to the stage? We might not get that kind of performance this year, but we do hope that Google gives us an update on how Google Glass is going so far, what developers and partners think of it and more. It's also possible that we'll hear more about the highly rumored Motorola X Phone, even though a recent report suggests Google scrapped it and left the pieces to Motorola Mobility to figure out. In addition, we've heard rumors that Google will bring its smart Google Now engine to the Chrome web browser, possibly through an entirely redesigned Google homepage. That means, like on Android, you'll be able to see upcoming flight information, package delivery statuses, sports scores and much more without even having to search. Google held a standalone Maps event last year, but we might also see a redesign to the company's web version of Maps, complete with a new color scheme and the removal of the current sidebar. Pichai said Google I/O 2013 is going to focus on developers, but that doesn't mean that there aren't a ton of exciting announcements coming for consumers. Most of the above pointers are developer focused, but the end game means improvements and new features for consumers. Heck, we'll be happy if Google decides to focus on delivering new software features to a larger group of existing Android users instead of requiring all of us to buy new hardware.